Back after the huge success of their third studio album, Ego Death, and three years of much anticipation, The Internet are finally back, and damn, they sure made it worth the wait! Their latest release, titled Hive Mind, may be one of the funkiest and most likeable albums I’ve heard in 2018, and for good reason. The Internet’s nucleolus Syd The Kid is in proper form, from the writing and production to her smooth and sensual vocal delivery. On Hive Mind, we hear a more funk- and jazz-driven sound that is delivered in a way you never knew you were missing from The Internet, adding even more to a band who already were doing things so right. 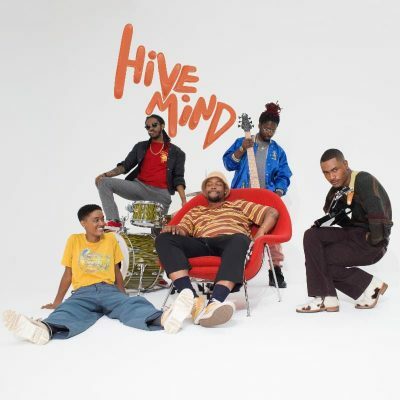 Hive Mind furthers the progression of this alt-R&B band as it ups the funk and technical aspects, which are made immediately clear from the beginning. Hive Mind kicks off with “Come Together,” a track with catchy choruses, infectious guitar, beautifully technical bass and subtle brass instruments that add an extra layer of jazz that sits perfectly as a background element. This intro, to me, is the best way The Internet have opened an album, opting not to start with the more downtempo electronic style that defined the sound of their earlier works. That does not mean their more R&B-heavy, slower tracks underperform. Songs like “Stay the Night” still convey emotion, much like the classics “Girl” and “Cocaine,” but with strumming guitar riffs, soft percussion, soothing vocal delivery and a funky complex bassline. The first single off Hive Mind, “Roll (Burbank Funk),” adds another element to this album and The Internet as a whole. Joint lead vocals between Syd and Steve Lacy complement the song’s dance progression by adding more depth and allowing the beat to carry the track. The album shines in so many ways and continues to highlight The Internet’s growth. The best symbol of that is the closing song, “Hold On,” a dreamier track with more funky basslines, beautifully soft vocals and, in a rare instance on this album, a backing synth. This track shows off elements of The Internet’s more dream pop-sounding beginnings, marrying it with their newfound funk that they have truly embraced. Hive Mind is a mix of everything I love about The Internet. It’s funky, emotional, fun and blends genres in a way that has been truly distinctive of The Internet’s style since their formation back in 2011. You get so much that makes R&B and hip-hop so good today, with basslines that would make Thundercat blush and charisma comparable to artists such as Anderson .Paak and Kaytranada. I couldn’t recommend Hive Mind more, as well as The Internet’s previous albums (Ego Death, Purple Naked Ladies and Feel Good).